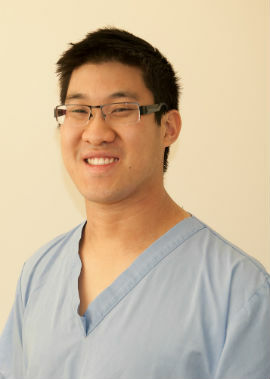 Dr Sean Heah completed his Bachelor of Dental Science with Honors in 2008 at the University of Western Australia. Since then, he has worked in both government and private practice in Perth and rural Western Australia before joining the team at Cedric Street Dental. In 2013, Sean was appointed as Oral and Maxillofacial Surgery registrar at Dunedin Hospital in New Zealand. While there, Sean received extensive training in dental Implants, difficult wisdom tooth removal and minor oral surgery. Subsequently, Sean was awarded the Postgraduate Diploma of Clinical Dentistry in Oral Surgery from the University of Otago. To further complement his training, Sean completed the Graduate Diploma in Conscious Sedation and Pain Control (GDipClinDent, Conscious Sedation) at the University of Sydney over two years, ensuring he provides for your dental needs in the safest, most comfortable way possible. He holds qualifications in Advanced life Support as well as attending approved Dental Sedation training at least annually. During Sean’s Oral surgery studies, he had the good fortune to be closely mentored by many prominent Oral and Maxillofacial Surgeons. Sean maintains a keen interest in all areas of general dentistry, with a strong emphasis on a preventative approach to dental care. He has trained extensively in implant dentistry around Australia, the USA and Canada. He is an advocate for using dental implants to replace missing teeth and enjoys helping our patients improve their quality of life by giving them a smile they’re happy with. Sean has a keen interest and concern for treating patients with severe dental anxieties or phobias. He is able to provide all levels of Sedation to manage your anxiety, from Oral sedatives and Nitrous Oxide Gas, through to I.V Conscious Sedation. He is endorsed by AHPRA to provide intravenous dental sedation (Sleep dentistry) for any type of dental treatment, not only surgery. With this option, you can get a large amount of work done in one visit or avoid having dental work done while you’re fully conscious. This is also an ideal option for patients with a strong gag reflex. He also provides I.V Sedation for patients at other clinics around Perth as the dental Sedationist of Western Australian Dental Sedations. We strive to give you the best possible treatment, clearly explaining all options available before starting. In his spare time, Sean enjoys photography and playing the guitar, whether it’s bass, acoustic, classical or electric. He goes fishing regularly and likes four wheel driving and camping. You deserve the most cutting-edge, high-quality and dignified dental care available. Contact us today to schedule your appointment!